Did you know that you can choose what connection action happens when you double-click on a device in Bozteck VENM? By default, VENM will attempt to connect to a VNC server on the remote computer unless you step in and make a change in the group or device preferences depending on the scope that you’d like the default to change for. 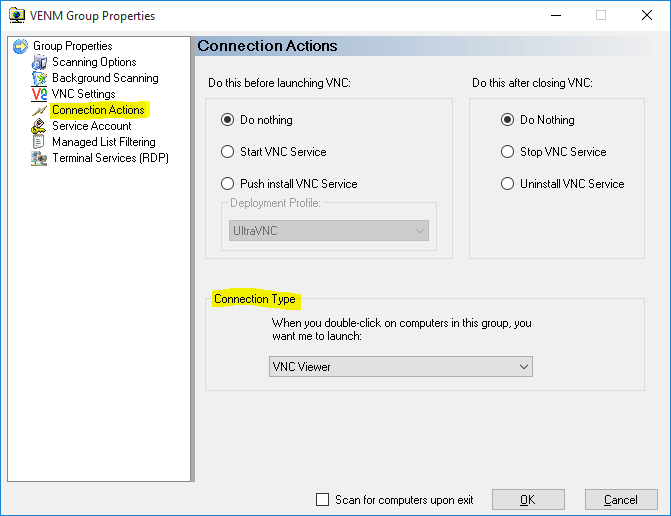 This entry was posted in how-to, tips, Uncategorized and tagged connect, RDP, remote desktop, venm, vnc. Bookmark the permalink.